A: I have a lot of favorites, so I'll say I've just woken up in Middle Earth. Road Trip! Assuming this is post-ring or Pre-ring when everything is peaceful, I would buy the best horse I could and saddle up to see the sights: The Shire, Rivendell, Lothlorien, Rohan, Gondor, I want to see it all! What's your answer this week? Congratulations to Rebecca for winning a signed copy of The Telling Tree! You have 48 hours to respond the the email I sent you Rebecca! World Weaver Press (Eileen Wiedbrauk, Editor-in-Chief) has announced Wolves and Witches, a short story collection by sisters Amanda C. Davis andMegan Engelhardt, will be released in trade paperback and ebook on Tuesday, February 19, 2013. Witches have stories too. So do mermaids, millers' daughters, princes (charming or otherwise), even big bad wolves. They may be a bit darker--fewer enchanted ball gowns, more iron shoes. Happily-ever-after? Depends on who you ask. In Wolves and Witches, sisters Amanda C. Davis and Megan Engelhardt weave sixteen stories and poems out of familiar fairy tales, letting them show their teeth. Wolves and Witches will be available in trade paperback and ebook via amazon.com,barnesandnoble.com, kobo.com, and other online retailers. You can also find Wolves and Witches on Goodreads. 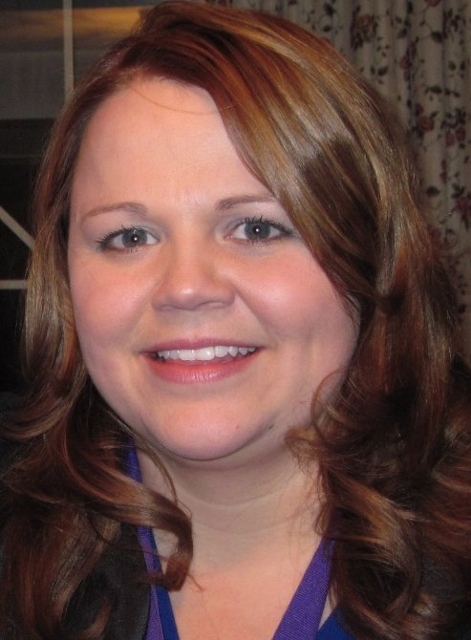 Amanda C. Davis is a combustion engineer who loves baking, gardening, and low-budget horror films. Her short fiction has appeared in Shock Totem, Orson Scott Card's InterGalactic Medicine Show, and others. You can follow her on Twitter (@davisac1) or read more of her work at http://www.amandacdavis.com. Megan Engelhardt is a lapsed librarian who lives in a crooked little house in northeast Ohio. She loves shows about Bigfoot. Her work has appeared in Daily Science Fiction, The Drabbelcast, and others. You can follow her on Twitter @MadMerryMeg or visit her website at www.megengelhardt.com. In some ways, I've always been a writer. There's never been a time where I haven't been filling notebooks with ideas and beginnings of stories. It took me a long time to do anything with it for myself. Instead, I majored in English and Elementary Education in college, and then became an elementary school teacher. There, I spent a long time teaching kids to read and write, and got my Master's degree in Literacy. Finally, though, I got an idea for a novel that I just had to really write and see where it went. That was Seeds of Discovery. 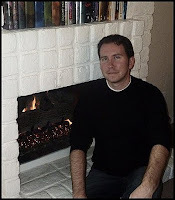 I have a lot of favorite authors, in a lot of genres. I've always loved C.S. Lewis, Frances Hodgson Burnett, Patricia Polacco, Madeline L'Engle, Sharon Creech ... and too many more to name. 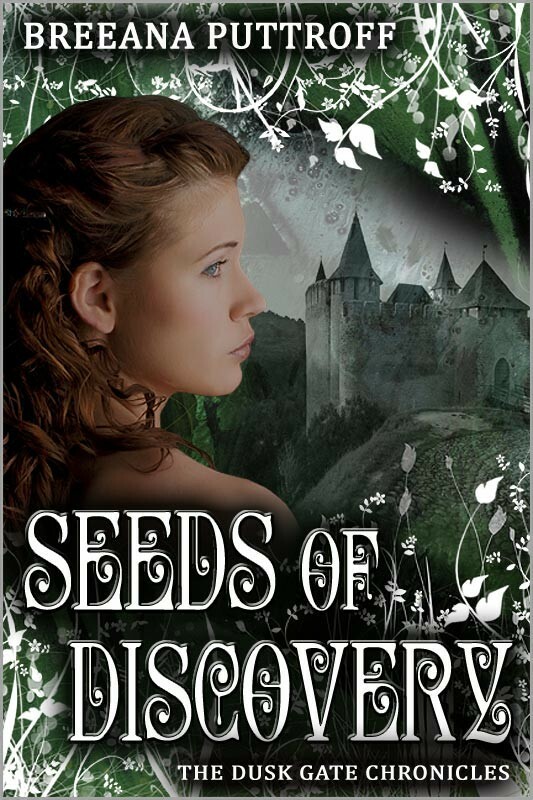 The inspiration for my first book, Seeds of Discovery came one summer day when I had gone hiking and picnicking in the mountains with my dad and my daughter, who was three at the time. We were throwing rocks at this little spot by a river, and I noticed the broken base of what had once been a bridge. Just like in the book, this bridge didn't go anywhere, but you could see where it had once connected to the rock face on the other side of the river. As soon as I saw that bridge, I knew there was a story in it. I just didn't know what that story was. After about six months of mulling it over, the first draft of Seeds of Discovery was born. I love watching the story come to life -- those magic moments when an idea clicks, or I figure out how plot elements are going to come together. I love those times when I go back and re-read, and I can't even remember writing it -- can't believe I managed to do that. :) I also love connecting with readers who have enjoyed the stories. Like any job, sometimes being an author is just work -- just fiddling around with little formatting bits. Or working for two hours on fixing something, and then having the program crash. I am published by a micro-press. While they help with things like the editing and the ISBN numbers, in exchange for control over my own profits, I do most of the work myself. 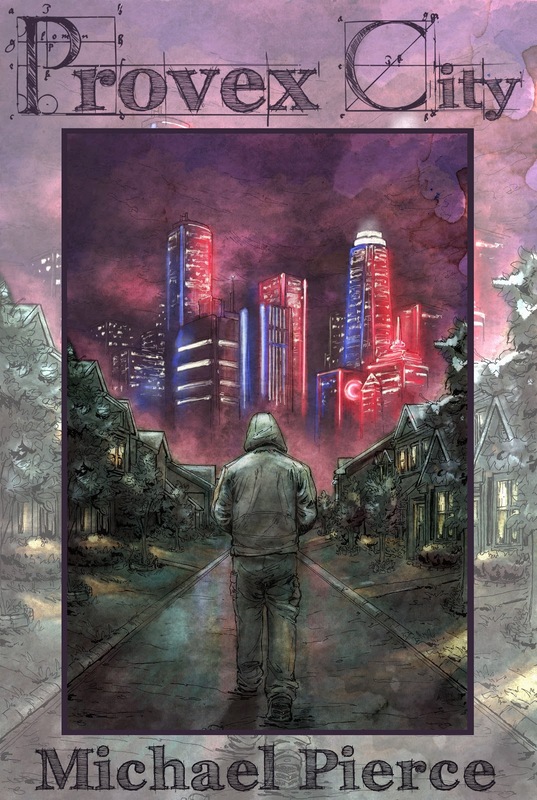 I contracted with the fantastic Mallory Rock for the cover design and interior design of the print versions, and I do my own formatting and uploading for the e-versions. I do. My next project is a stand-alone story, which will be a little different for me after working for so long on a series. The book I'm working on is an alternate-version "re-telling" of the Rumpelstiltskin fairy tale, titled Rumpelstiltskin's Daughter. It's a "what-if" story, told from the viewpoint of the child Rumpelstiltskin actually did steal, but now she's 17, and has no real idea about her past. Later this year, I will be adding some more stories to the Dusk Gate Chronicles that fall outside of the main story line, and explore some of the other characters. Describe in three or fewer sentences what makes your book unique and why a reader should buy it. 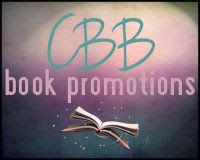 Unlike many current books for teens, the books in the Dusk Gate Chronicles feature strong family ties and relationships, and the romance grows slowly, but builds into something really based on trust and mutual respect. Plus, the princes are pretty fantastic, and the heroine is strong and gutsy. 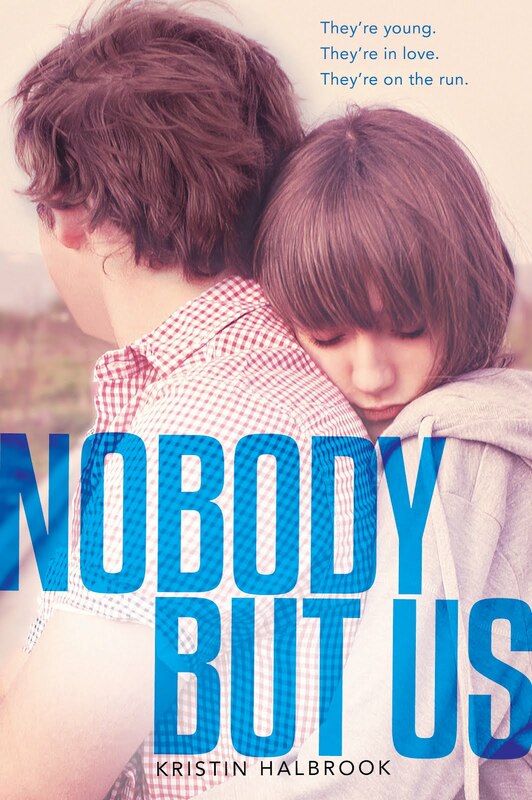 Nobody But Us was one of those books that I had no idea how I felt about it after I finished it. Towards the beginning I was thinking about giving it a fairly high rating, but as I kept reading, my rating kept going down. It’s sad because there were many elements in the story that I liked and even applauded. But in the end, the way it was written made me feel I couldn’t give it a very high rating. I really appreciated the gritty, blunt way that Kristin Halbrook shows us the characters’ backstories. We learn about the horrors they have faced growing up and gives us context for things like Will’s violence. While of course this doesn’t justify his actions, it inspires a pity towards him that would not have been there otherwise. She created two very complex characters, and because of the alternating narratives, we get to see the inner workings of their minds. For what I did not like about this book, let me first say that I don’t know who wrote the synopsis, but there was almost nothing in common with this book and If I Stay. The only similarity I see is that there is a girl who has a lot of trauma and is trying to come to terms with it. The circumstances are completely different though, so really in that respect it could be compared to a million different books. If you are looking at this book just because of that comparison – I know that was one reason why I was excited to read it – let me tell you now, Nobody But Us is nothing like If I Stay. The Bonnie and Clyde part is pretty accurate though. If the author had meant this book to be more of a tough portrait of two troubled people who are fighting against a world that never gave them a fair chance, I think I would have enjoyed it much more. As it was it felt like a romanticized unhealthy relationship, which was my biggest problem with the book. I know it is unlikely the characters had enough insight themselves to realize how dysfunctional, unhealthy, and even illegal their relationship was, but if emphasizing that had been an important part of the book, the point would have gotten across. This book either intentionally or inadvertently poses some interesting questions like what happens to foster kids when they turn eighteen and are ‘kicked off the state’? Or what is the price of staying silent versus speaking out? I admired this because I think they are important topics, but they are breezed over with the plot of two haunted individuals trying to fix each other while leaving a trail of crimes behind them on their train-wreck of a road to freedom. B. Pine is an award-winning fantasy and science fiction author who keeps her days full by writing, gardening, reading and raising her little ones. She is an avid reader of fantasy, science fiction, and vampire novels, particularly stories with backgrounds based on medieval culture from Western Europe and England, where she lived for four years. 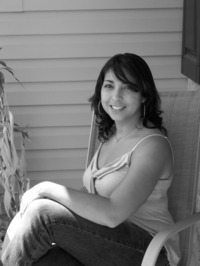 Her passion for writing was born after taking a college course in creative writing. She graduated from the University of Maryland and Wilmington University with degrees in Business Management and Accounting, respectively. Her debut novel, Familiar Origins, has won two Royal Dragonfly Book Awards, and her Draca Wards series will be continued in 2013. She also has a short story published in The Imperium Saga: Anthology with fellow authors from Silver Leaf Books, LLC. She is currently working on the next installment of her fantasy saga. Also, visit her at http://dracawards.com/. I have written stories and poems since I was in elementary school. However, it took a creative writing course in college to bring out my true passion for writing. I love Anne Rice and the way she can make you feel what her characters are experiencing. Robert Jordan is one of my favorites. Every aspiring fantasy author should read his Wheel of Time series. And Melanie Rawn is another fantasy author who draws you in with her characters. The idea for the manuscript was actually a combination of old short stories, with each story focusing on one of the main characters in my current story. At one point, as I was going over my stories, I began to ask myself: What if these characters came from the same world and were intertwined somehow? What would their lives be like? And what would they have to go through to reach their destiny? When I was able to answer that last question, I knew that I had a wonderful story just waiting to be written. Putting the stories in my head into words to share with others. Anything that I have to do that does not involve putting the stories in my head into words. Mainly it involved a lot of waiting. It took 18 months from signed contract to book release. But other than that, it was a drama-free process. 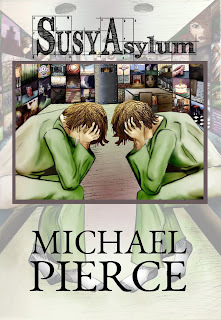 Silver Leaf Books is a small indie publisher, so I was able to choose my sister to be my cover artist and book designer. Working with her was the best part of the entire process, since she is hooked on the saga and can understand better than anyone what my vision is. 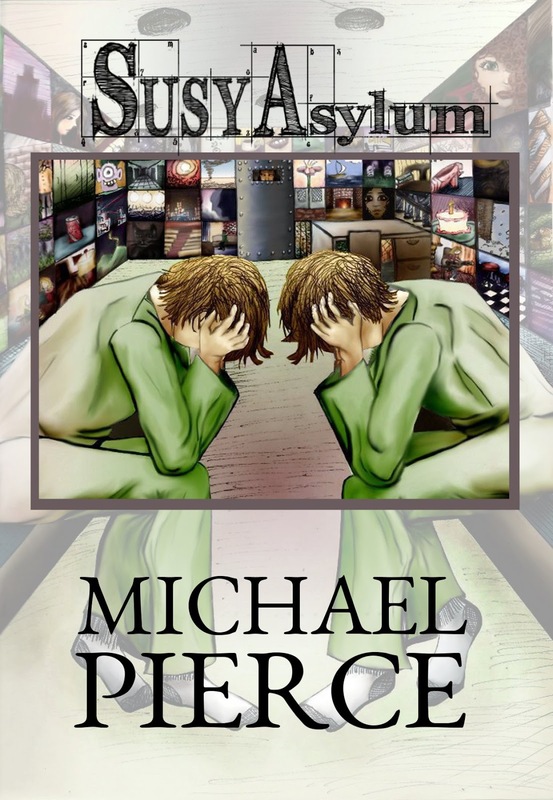 The sequel to Familiar Origins, Plights, is available exclusively through Kindle right now. The print edition is due to be released in February. 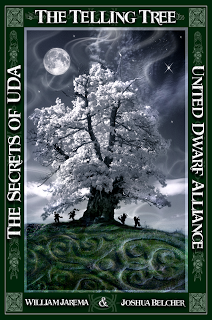 Readers can also expect more from the Draca Wards Saga coming soon. Familiar Origins is only the beginning. 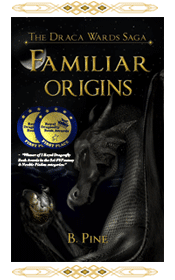 Unlike most fantasy stories that focus around a single hero or heroine destined to save the world, Familiar Origins is a story about a group of characters, each of them equally important to the plot. And as children and young teens, they are also experiencing the struggles of growing up and dealing with the world they live in. If you are looking to fall in love with a new cast of great characters, then you have to read my book. 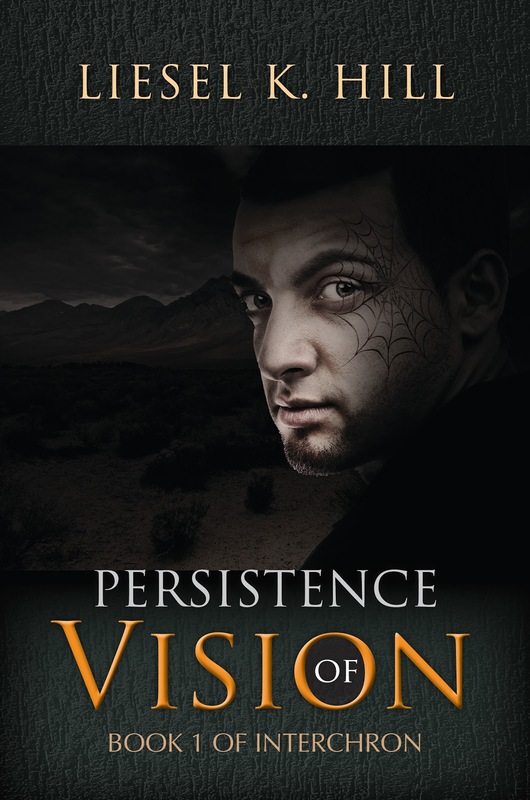 My debut novel, Persistence of Vision, is a New Adult novel. I get asked a lot what made me choose new adult and how it’s different from YA. For me it wasn’t a conscious choice. I envisioned my story, and this is how old the characters were. It wasn’t until I started categorizing my story and I realized it was a new adult. So what is New Adult? It can be explained in various ways. It’s like YA, but the characters are a few years older (early twenties). It’s geared toward adults, rather than young adults, but doesn’t have the adult content. In other words, clean (PG-13 or lower) reads about adults. However you categorize it, new adult is just half-way between YA and adult. The question is not why I chose NA, but why other aspiring writers might want to? 1. While NA is still a relatively new classification (many people have never heard of it) it’s growing in popularity. Mediabistro.com put out an article this last December about new adult fiction readership exploding on Goodreads. The trend is on the upswing. 2. The market is saturated with YA books. Choosing NA will set your book apart more than YA will. 3.It can help expand your story’s scope. While there are many YAs that are well written and include complex problems (Hunger Games, anyone?) there are some problems that are considered too adult for YA readership. Personally, I like stories about slightly older characters, dealing with real world problems that would probably be a bit too heavy for teenagers. This is a matter of author preference, but with all the YA on the market, consider deepening the scope of your problem by using slightly older characters to cope with them. So, why would YOU choose YA? A flash of purple light. A rock formation. Brown boots walking across a room at eye level. Two large hands covering hers. A hand with an ugly black burn on the back. A woman standing in front of a broken lighthouse. Blood on her hands. A whisper of a voice.These are the images that haunt Maggie. One afternoon a year ago, Maggie blacked out inexplicably. Now a man with a spider’s web tattooed on his eye has attacked her in her home. Things only get more confusing when Marcus, a man she vaguely remembers from her black out, shows up to take her away. Marcus is from the future and is a member of the Brain Chemistry Optimists (BCO). And so is Maggie. Her black out was actually a year’s worth of time she spent in the future, fighting against collectives—people who have linked their minds together and given up all individuality. The collectives are working to bring down the few individuals left, and Maggie learns that she is supposed to play a crucial role in these efforts. The members of the BCO explain that in battle, her brain was attacked, and she lost all her memories of her time in the future. All she has left are flashes, afterimages, Persistence of Vision. Now she must relearn everything about this different world, harness mental powers beyond anyone’s imagining, and navigate what was once a romance with Marcus. On top of all of that, she begins unraveling the mystery of her lost memory. However, for every answer she finds, it seems that another, more complicated question arises. Will she be able to remember enough to help the BCO? This book has such an intriguing cover! I love the title font. 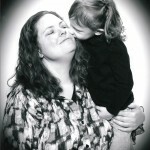 Go To Candace's Blog for more!